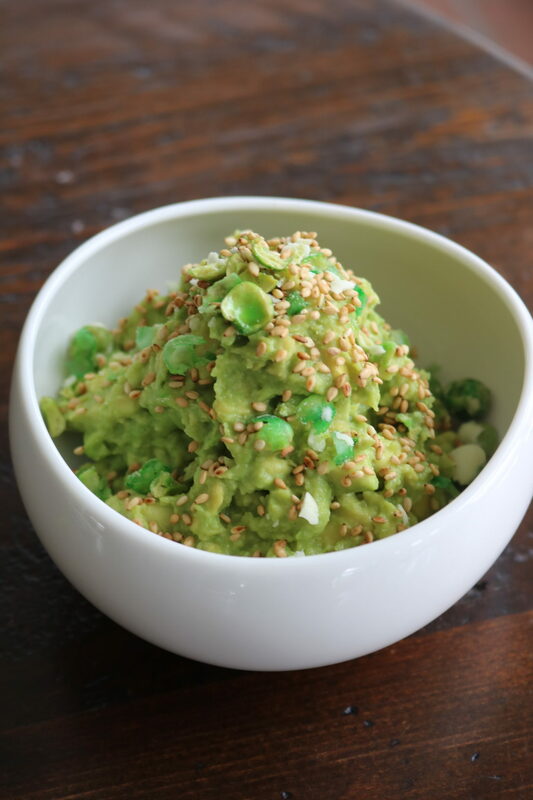 Add avocados, lime juice, grated ginger, minced garlic, and salt to a medium mixing bowl and smash with a potato masher until thoroughly combined. 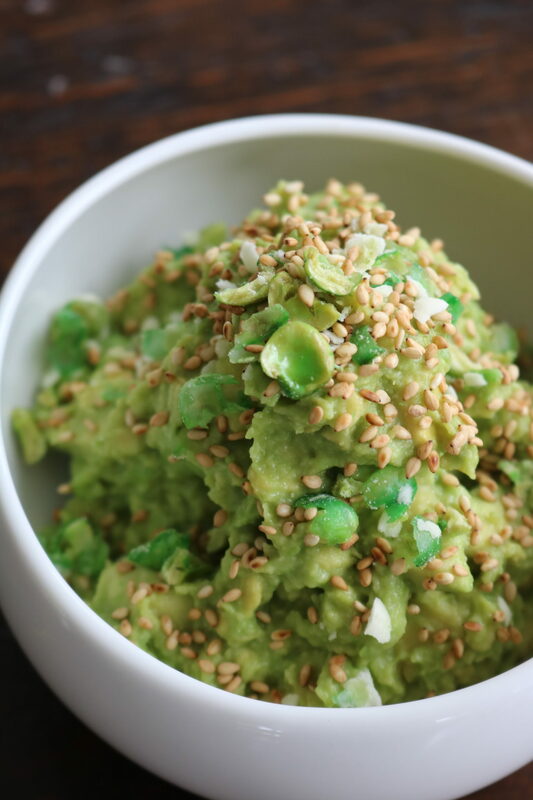 Top with crushed wasabi peas, toasted sesame seeds, and thinly sliced scallion. Serve with either crispy fried wonton chips or sesame rice crackers. Enjoy!